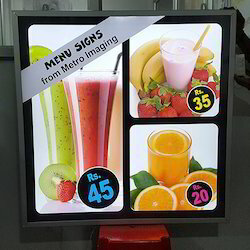 We are a leading Manufacturer of illuminated light boxes, crystal light box, light box display, led clip on board, menu advertising signs and aluminium light box from Chennai, India. 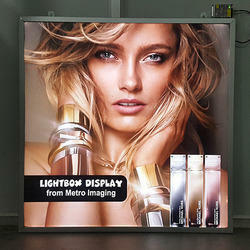 We are a top notch supplier of Illuminated light boxes, with translates. 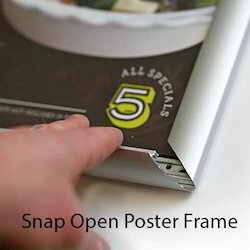 Frameless acrylic sandwich poster frame with stud screws. Bleeding lights from the edges of the frame is attractive . 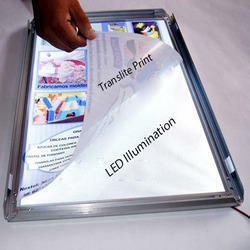 Light boxes made of acrylic, LED and Sleek Aluminium frames for indoor display. Excellent product. Made using components of Aluminium, Acrylic and LED lights. 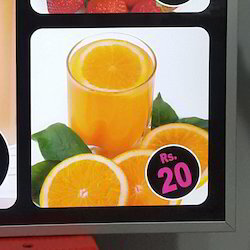 Very attractive at restaurant counters. Easy to change graphics. Less power consumption. Sleek. We have gained prominence in the domain by providing high in demand Aluminum Clip Frame. 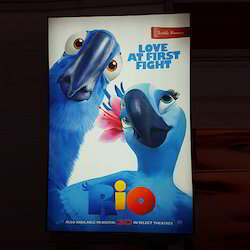 Made from sturdy aluminum material these frames are designed innovatively where the panels can be unscrewed to change the picture easily. Ideal to be used for advertising purpose these sleek and cost effective frames are accessible in the trendy anodized finish with the option of sizes and patterns. 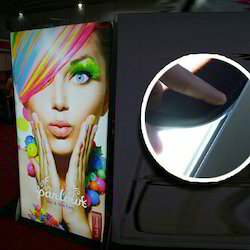 Display box with graphics edge to edge. 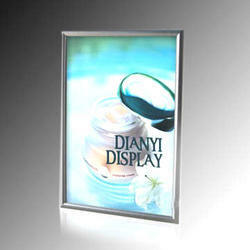 Frameless appearance. 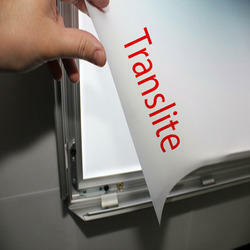 High contrast backlit film printing. Scratch and water resistant. 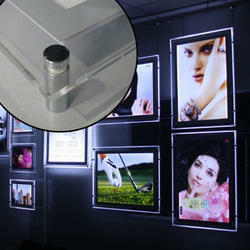 Silicon Edged Graphic - Fabric stretched light boxes. 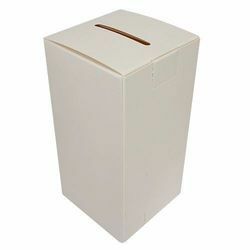 We are offering Cardboard Cutouts Boxes. 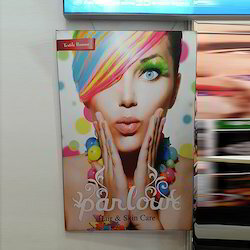 Looking for Sign Frames and Boxes ?